Fancy getting into a brand-new truck this winter? Check out these best truck deals, lease and purchase, January 2013. Keep in mind that expiration dates for these deals vary. January 31, 2013 marks the end of the deals from Nissan; Chevy and GMC deals go until February 28, and Honda deals are good through March 4. Note that Ford and Toyota truck deals were not available at time of posting. 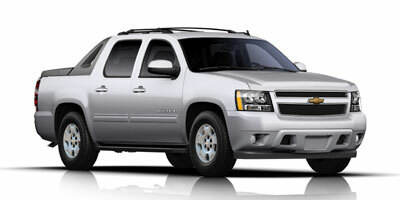 2012 Chevrolet Avalanche – Purchase deal: $5,000 cash back or zero-percent financing up to 72 months. 2012 Chevrolet Colorado – $1,500 cash back or 1.9 percent financing up to 60 months. financing to 60 months. On Hybrid, $5,000 cash back or zero-percent financing to 60 months. 2013 Chevrolet Silverado 1500 – Buyers get up to $7,500 cash back on All-Star Edition, $3,000 on extended, crew cab and $2,500 on regular cab, or zero-percent financing up to 60 months. Lease extended cab 4WD LT and extended cab 4WD All-Star Edition for 39 months at $309/month with $1,919 due at signing; 2WD extended cab All-Star Edition carries a $299 per month, 39-month lease with $1,769 due at signing. 2012 GMC Canyon – Purchase deal: $500 cash on regular cab, $1,000 on crew, $11,500 on extended cab, or 1.9 percent financing for 60 months. 2012 GMC Sierra HD – Zero-percent financing for 60 months or $4,000 cash. 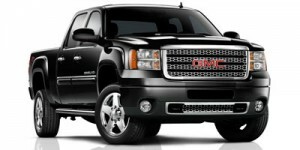 2012 GMC Sierra Hybrid – Zero-percent financing for 60 months or $5,000 cash. 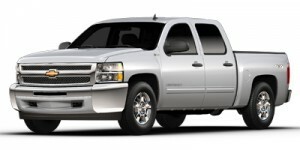 2013 GMC Sierra 1500- Lease SLE extended cab 4WD for 39 months at $299 per month with $3,179 due at signing. Purchase and get zero-percent financing for 60 months or $2,500 cash back on regular cab, $3,000 on crew cab and extended cab models. 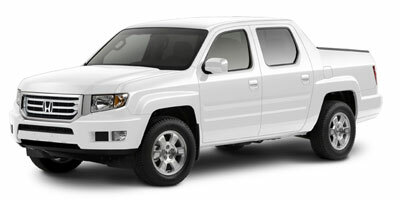 2012 Honda Ridgeline – Purchase with 0.9 percent financing for 24 to 36 months or 1.9 percent for 37 to 60 months. 2012 Nissan Frontier – Lease Frontier King Cab SV trim with four-wheel drive and automatic transmission for 39 months at $239 per month with $2,999 due at signing. On a purchase, the S trim and non-S trim both carry financing deals plus $500 NMAC cash (when financed through NMAC): zero-percent financing for 36 months, 0.9 percent for 60 months, 1.9 percent for 72 months. Or, buyers can get $1,500 cash back plus $500 NMAC cash on S trim, and $2,000 cash back plus $500 NMAC cash on non-S trim. 2012 Nissan Titan – Lease Titan Crew Cab SV SWB trim with four-wheel drive and SV value truck package for $499 per month for 39 months with $2,999 due at signing. On the purchase side, there are various regional deals for PRO-4X trim and those excluding PRO-4X trim, ranging from zero-percent financing for 36 months, 0.9 percent for 60 months, 1.9 percent for 72 months or $3,500 cash back (excludes PRO-4X trim, in Northeast and Northwest), to zero-percent financing for 36 months plus $500 NMAC cash on PRO-4X trim, 0.9 percent for 60 months plus $500 NMAC cash, 1.9 percent for 72 months plus $500 NMAC cash, or $5,500 cash back plus $500 NMAC cash, when Titan is financed through NMAC (Southeast, Southwest and West).